Mark, the Journal Sentinel didn’t even have the decency to inform readers that the Autos section was going away. I wondered for three weeks what happened to it, and to no avail could find any marketing contacts there to ask, nor did editor George Stanley respond to inquiries. I had to come looking here for answer. I well understand the challenges of the newspaper biz, but if they want to keep subscribers, quit taking away content. If there’s one day a week to hold on to print readers, Sunday needs to be that day. Absolutely agree Jason. Hope you’ll keep looking at my site, and WUWM’s site on Sundays for the first run of every column. 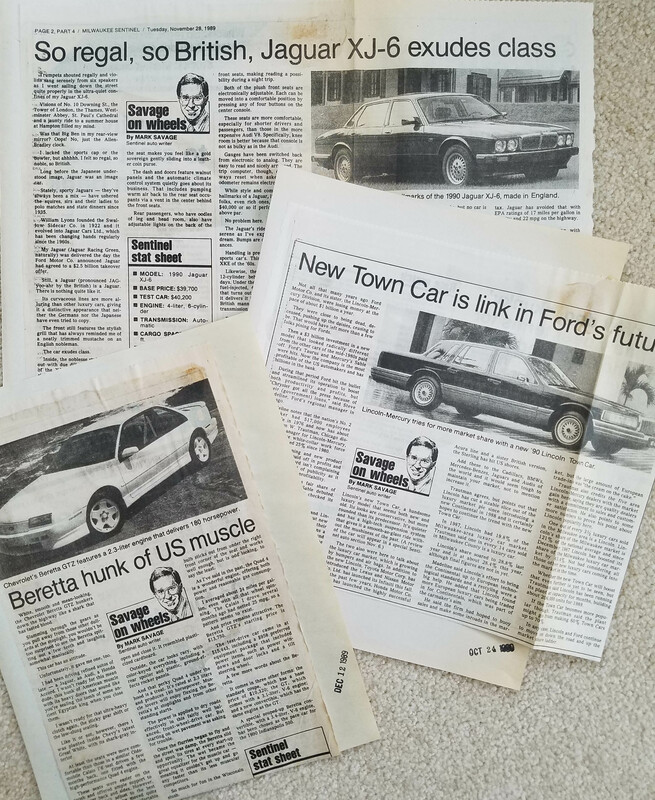 My site is particularly good if you’re doing research on several cars from the past couple years. Right Jason, when things disappear newspapers rarely let the readers know. I worked in papers for 30+ years and any time there was a cutback in the paper’s size or a change that eliminated some features, whether it was comics, or columnists, little to nothing was noted in the paper. However, we always used to joke that when something was said, it was that the changes were to benefit the reader. A lot of right-sizing in this world. But I hope you’ll continue to view this site, and/or WUWM.com’s site.